Carmignano di Brenta, Italy — 04 June, 2018 — Allos – HR Innovatoion today announced that the company is a Silver level sponsor at SAP SuccessFactors’ annual SuccessConnect ® conference – the premier event for human resources (HR) professionals, set to take place June 18-20 at CityCube Berlin. 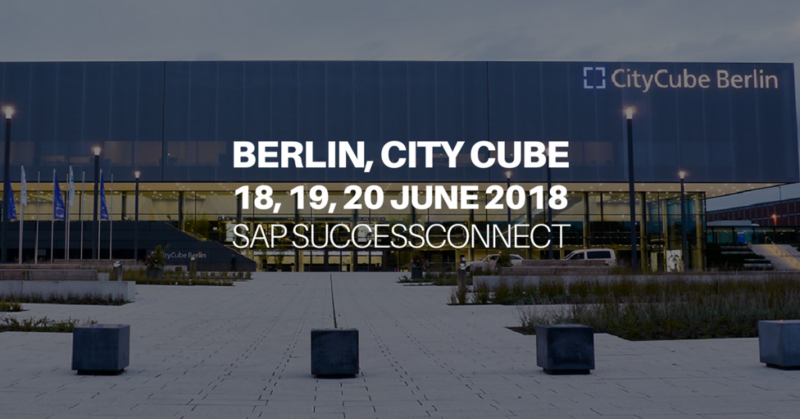 SuccessConnect in Berlin will bring together executives and leaders in HR, IT and other lines of business to explore successful HR strategies in the digital economy. innovating to thrive in the digital workplace. Allos’s continued cooperation with SAP is helping companies lead with purpose and transform the work experience with SAP SuccessFactors solutions. Allos has leveraged its understanding and proven track record within all industries and combined this expertise with market-leading SAP SuccessFactors solutions to help HR and IT departments to make the right choices when it comes to the fundamental decisions regarding human capital development projects and technology. Allos | HR innovation, is a pioneering force when it comes to building extensions for SAP® SuccessFactors® on the SAP® Cloud Platform. These extensions are vital to maximising HR management results, thanks to an innovative and pragmatic approach. Come creare la migliore employee experience per la generazione Z?